One of my bird drawings! 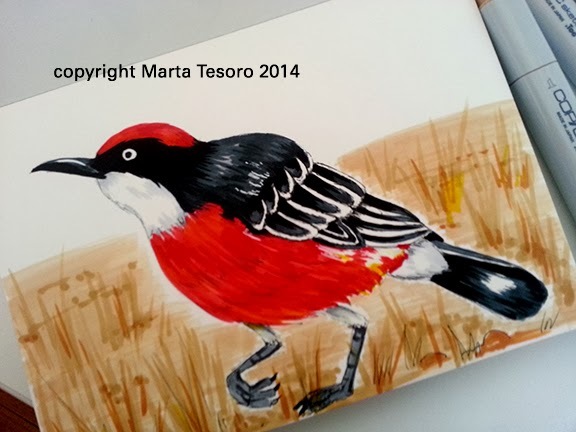 This is a Crimson Chat. I like the names... anyway some big news! The joint exhibition that Dave and I are doing entitled "House of Birds" is on Feb 27, Thursday from 6:30pm onwards at Pepper Cafe. If you're in the area, come by and check out the art!